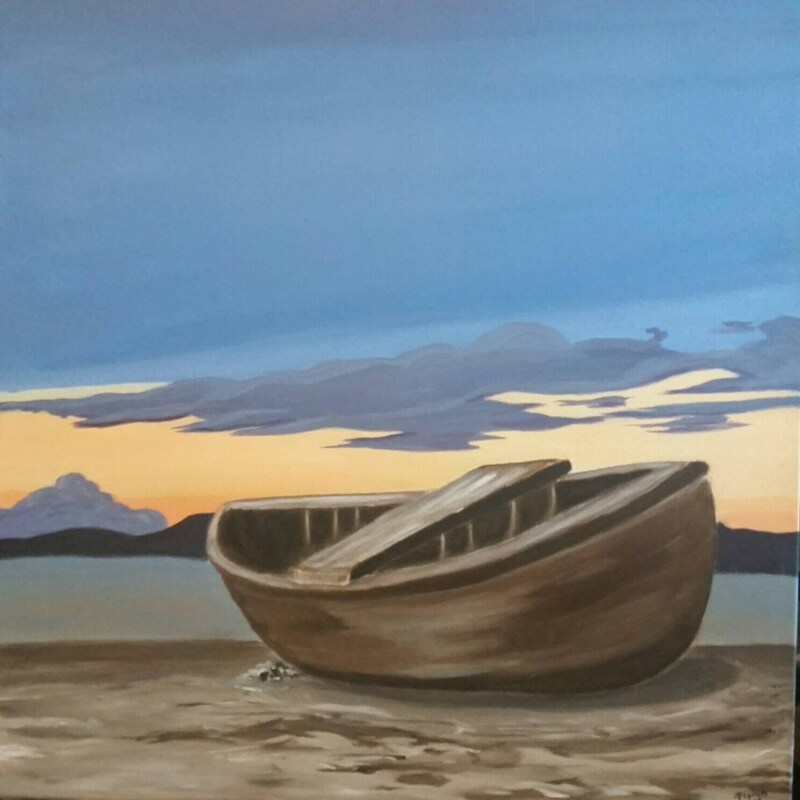 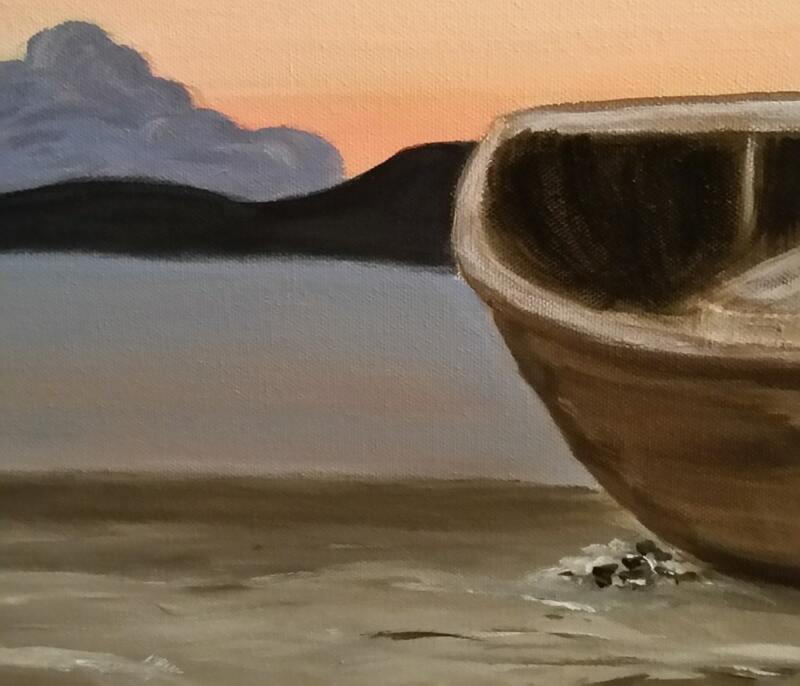 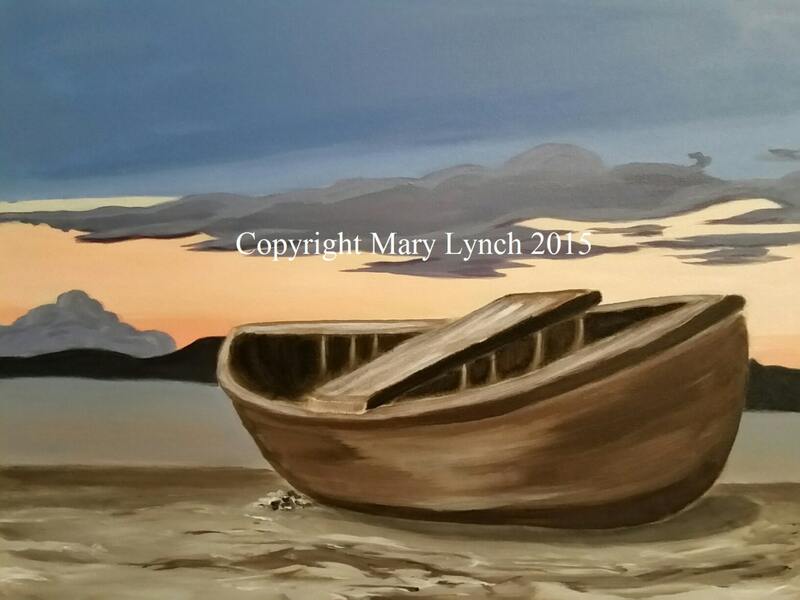 Fishing Boat At Sunset - Acrylic Painting - 2015 State Fair 1st place - ready to ship! 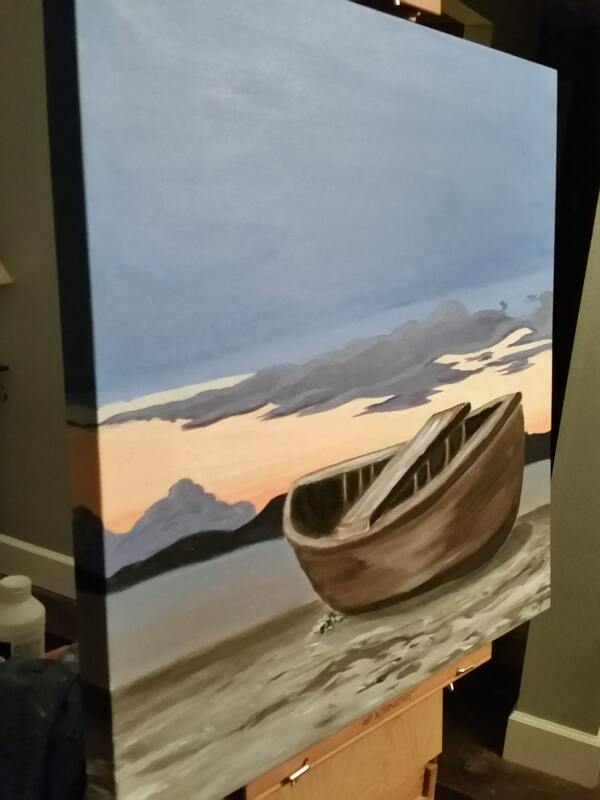 A simple fishing boat is left behind for the night. 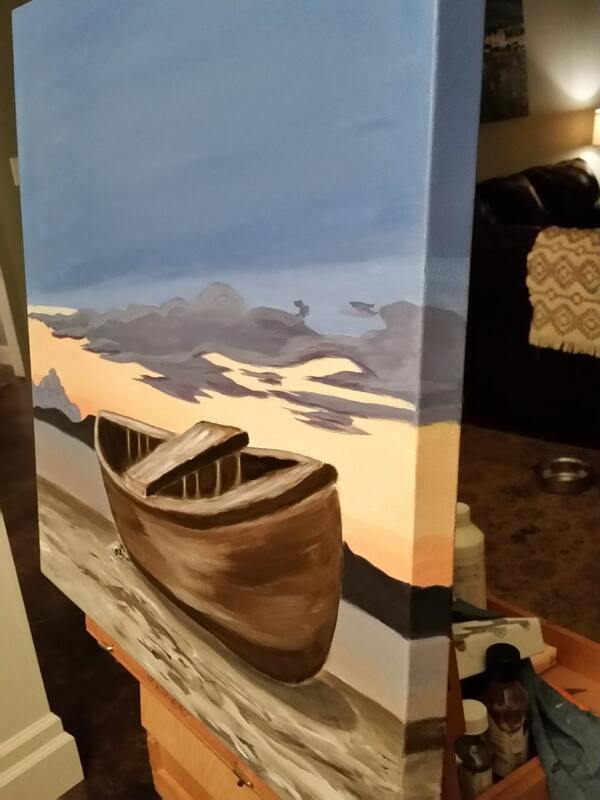 This painting has nice, bright colors, and the minimalist style will go with a variety of home décor.